This is one of Gaudi’s most iconic works. It is referred to as the “House of Bones” by the locals. It was originally built for a middle-class family who purchased the building in 1900. The building was remodeled into three distinct sections, each reflecting different parts of the human body. The Batllo’s don’t live there anymore but is still open as a museum dedicated to the architecture. Visitors can experience the uniqueness of the building for themselves. This is by far one of the weirdest cemeteries in the world. It opened in 1883 and is the largest cemetery in Barcelona. There are many famous people buried here throughout history that date back to the Roman times. The statues and grace stones are impressive and weird to see, but worth the walk through the beautiful modernist graves. It is set against a hillside surrounded by pines overlooking the sea. It is considered one of the most enjoyable experiences in Barcelona. This is a common destination for both museum lovers, giggling couples and others. The modest collection of artifacts that show how the art of Japanese Shinga has been present over history. If the sun hasn’t raised your temperature enough a visit through here with your spouse certainly will get your blood pumping a little faster. Dubbed the oldest garden in the city with semi-secret mazes masquerading as a hedge. The garden began in 1791 as part of a wealthy estate of a local family. The rest of the park was created in the mid-1800’s and the main part of the labyrinth really steals the show. This is a perfect destination for the person that loves to explore with over 2,000 feel of twists and turns to get lost in. 500 years ago the cocoa bean came ashore to Europe, and it has been a love affair ever since. Named Museu de la xocolata, here you can stroll through the history of chocolate and its evolution in Spain. The statues made in cholocate here are stunning to see and a marvel at how they were made. 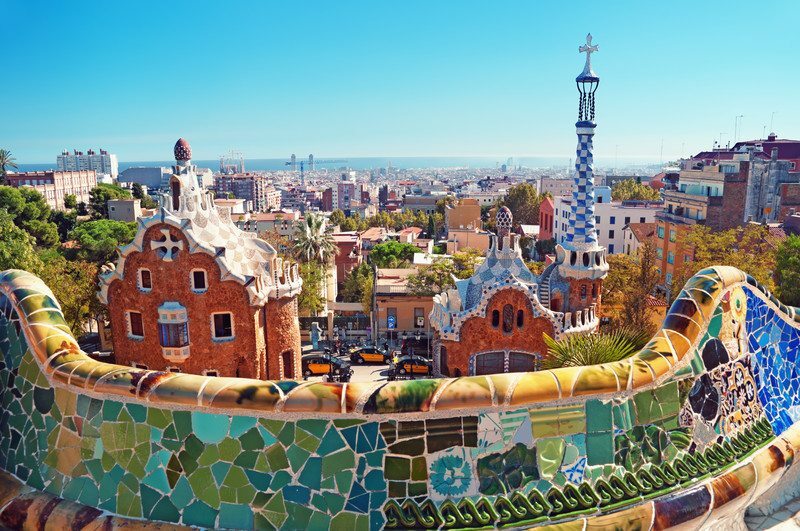 This is one destination you don’t want to miss while Vacationing In Barcelona, Spain. Many cities throughout the world hold massive street festivals and then dread the clean up after these events. The Festa Major de Gracia is a little different, but not any less dramatic. Residents in this area of Barcelona, Spain fiercely compete for the best-decorated street. Each block chooses a theme and works to cover every inch of the street to impress visitors and outdo their neighbors competing against them. Festa Major de Gracia is held for one week turning 20 streets into a drinking, dancing, and party scape for residents and vacationers alike.